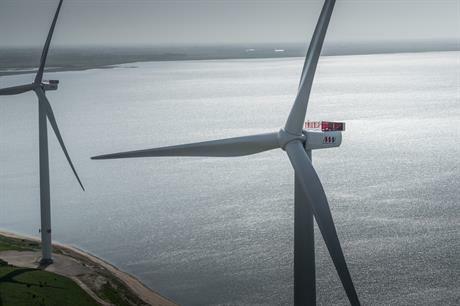 DENMARK: Offshore wind turbine manufacturer MHI Vestas is boosting production from its blade site in Nakskov, Denmark to meet demand. MHI Vestas will add 140 new employees to the Danish site to produce blades for the V164 turbine. The joint venture said the Naskov site would support the main factory on the Isle of Wight in the UK. Each factory will have approximately 250 employees producing the 80-metre blades under a single leadership team, the company said. "We have decided to ramp up blade production at Nakskov in order to meet the increased demand for V164-8.0MW projects. The factory in Nakskov will supplement the lead factory on the Isle of Wight, which is our blade centre of excellence and continues to drive blade production efficiency processes," MHI Vestas chief manufacturing officer Torben Hvid Larsen said. MHI Vestas has taken on the blade site at Nakskov owned by Vestas, used to produce onshore and offshore blades prior to the JV formation in 2014. The site already has 110 full-time employees. Full operation of the new site is expected during 2016. MHI Vestas' Isle of Wight site is currently working on the blades for Dong Energy's 258MW Burbo Bank Extension project in the UK, where offshore installation is due to begin over the summer. MHI Vestas also has conditional orders for the 450MW Borkum Riffgrund 2 project in Germany, and Denmark's 400MW Horns Rev 3, and is preferred supplier for the 370MW Norther project in Belgium – all due online before the end of 2019 and requiring some 672 blades.